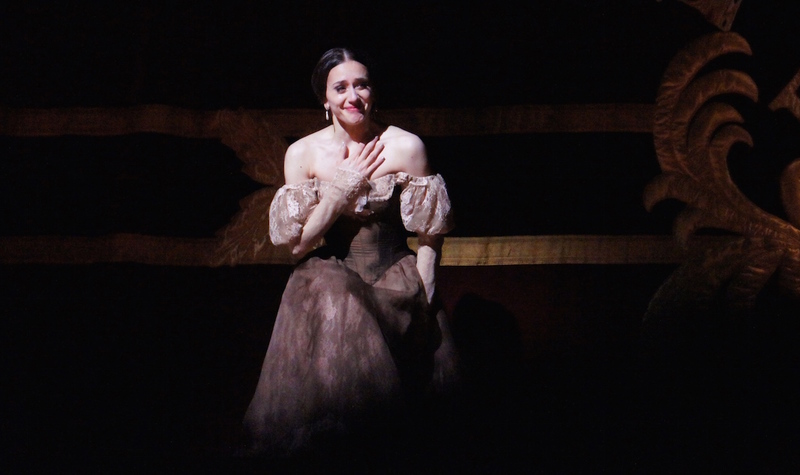 Tchaikovsky’s opera Eugene Onegin has enjoyed a healthy profile of late with new productions at Met Opera and Opera Australia, as well as further seasons of Bavarian State Opera’s 2007 staging. 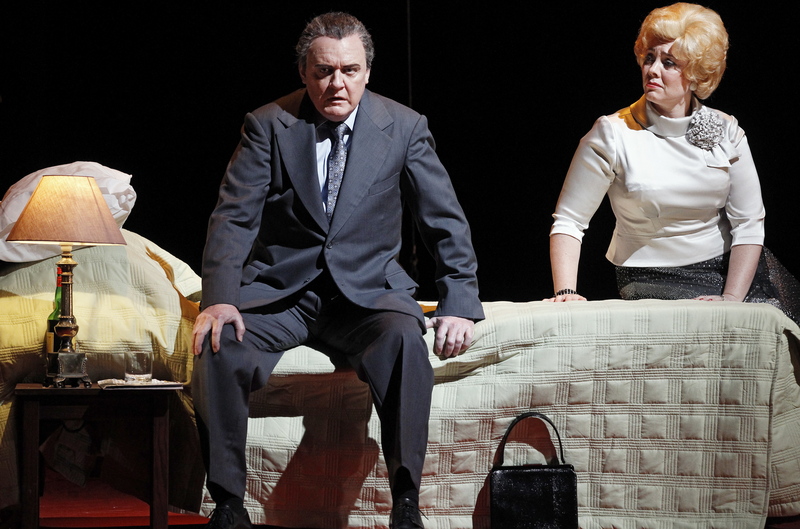 The opera is a classy affair, portraying heartbreak and unrequited love on a grand scale. It even contains some wonderful dance music. Unfortunately, none of this is used in John Cranko’s ballet. Cranko’s choreography goes a long way to expressing the very lyrical sentiment of the opera, itself based on a novel by Alexander Pushkin. The difficulty with using this story as the basis for a full-length ballet is that the absence of a traditional boy meets girl love story means a scarcity of pas de deux. When the grandest pas de deux within the first two acts is a dream scene, there is little scope for true passion between the leads. There is a poetic beauty to unrequited love, but it is very restrictive to convey in dance. Ultimately, the ballet comes across as rather slight, save for one final, very moving pas de deux. Tchaikovsky’s music, as selected by Cranko and his original orchestrators, is reliably lovely but undistinguished overall. Conductor Dominic Grier maintains very safe, sedate tempi. The Orchestra of the Royal Opera House plays with requisite sweetness, but the restrained performance is, for the most part, lacking in oomph. 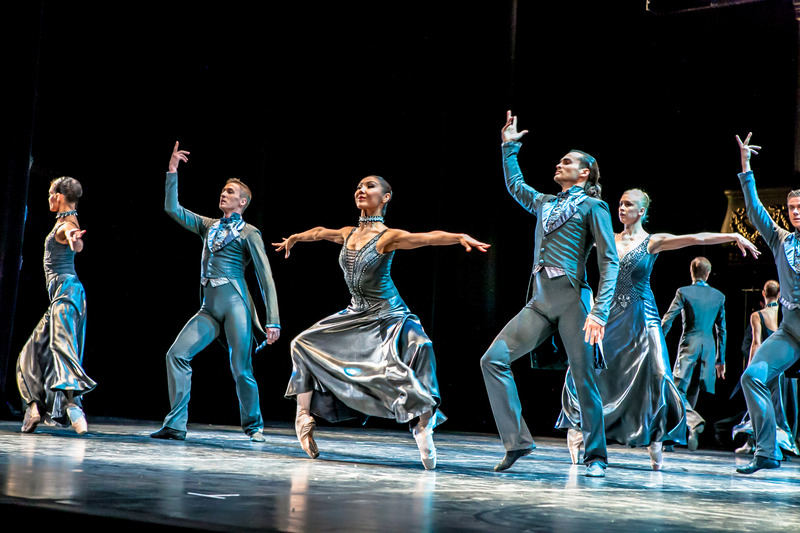 While the lack of opportunity for pas de deux is frustrating, the ballet provides plenty of scope for acting in the story arcs of the lead characters. 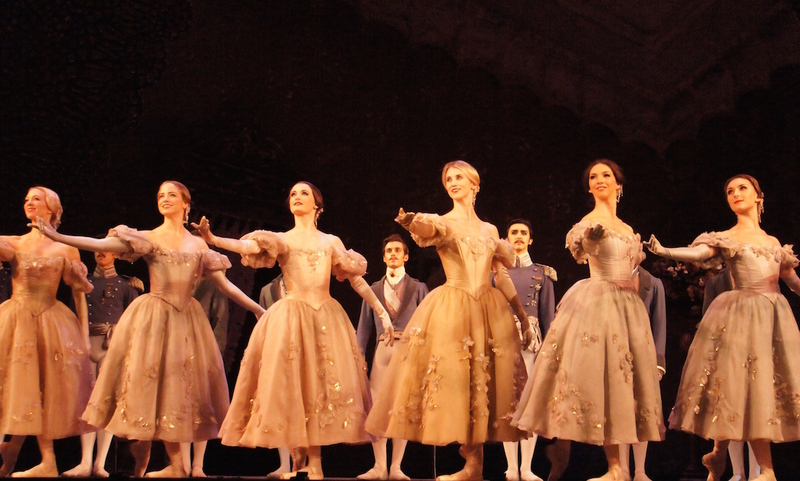 Tatiana, danced by Marianela Nuñez, grows from bookish, love-struck country girl to mature, gracious Princess. With acting skills to match her extraordinary dancing, Nuñez conveys as much of Tatiana’s hopes and dreams through her face as her body, and appears quite overcome with emotion at the end of the night. Eugene Onegin, danced by Thiago Soares, is a first seen as a brooding, aloof young man, whose reckless petulance goes on to have deadly consequences. He is later left heartbroken, doomed to live in regret for his earlier capriciousness. 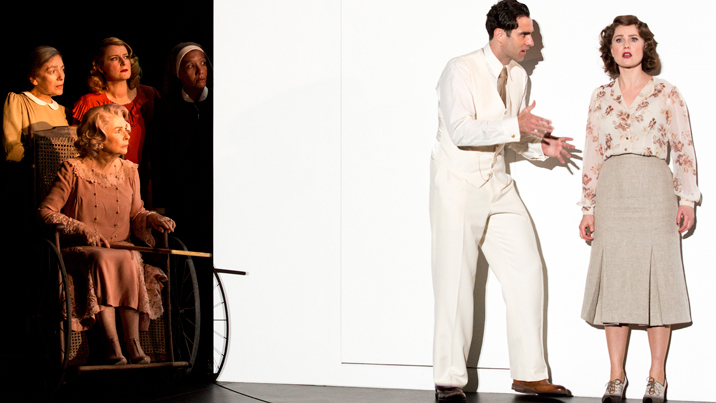 Soares’ tall, handsome, broad-shouldered appearance is an asset to the role, and he easily captures the noble carriage of the prepossessed young Onegin. 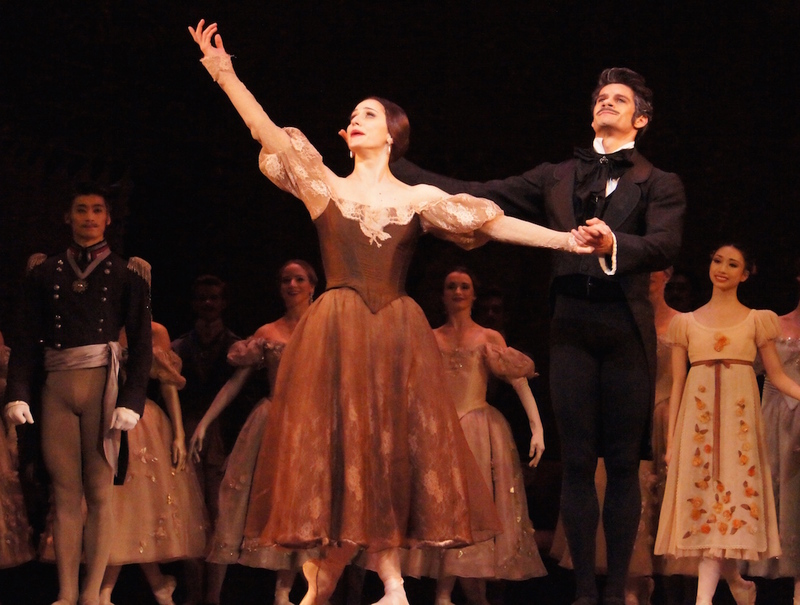 Soares becomes completely immersed in the character, his incredible dancing becoming a natural expression of Onegin’s journey. 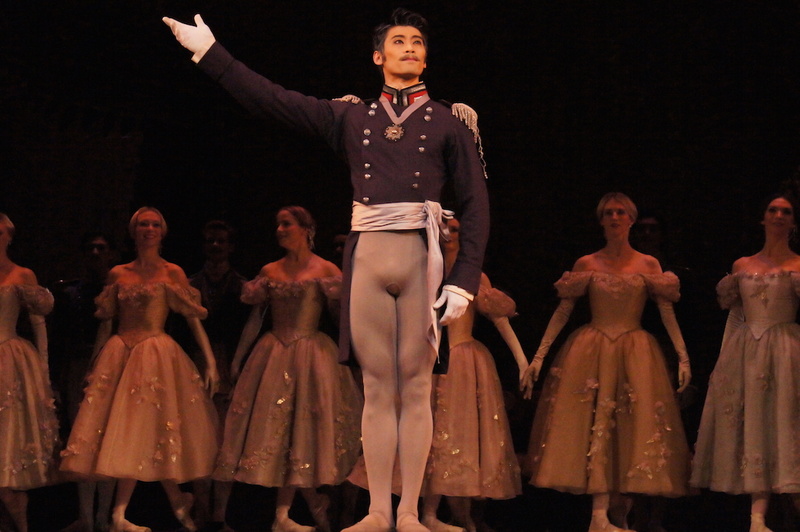 Onegin’s cavalier attitude is established in an early solo, danced with effortless confidence by Soares. As Nuñez floats back and forth en pointe, Tatiana watches, falling in love. 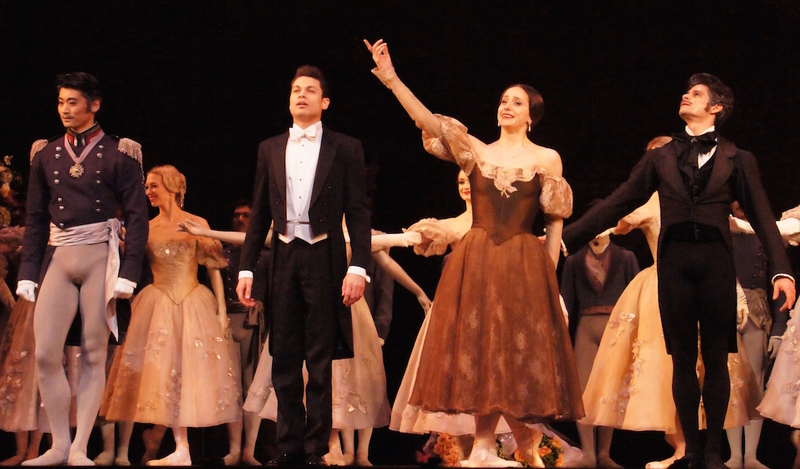 When the anguished Onegin later recalls this moment, a corps of six dancers recreates Tatiana’s serene floating. 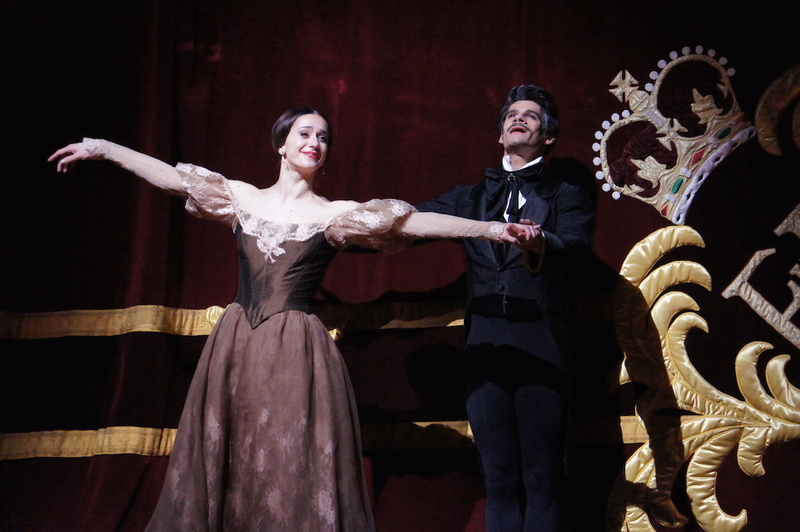 Soares delivers an even more thrilling solo in act two as Onegin works himself into a frenzy before the duel. Nuñez and Soares are superb together in the all too brief “mirror” pas de deux, clearly conveying the youthful fantasy of wide-eyed Tatiana and her dashing beau. 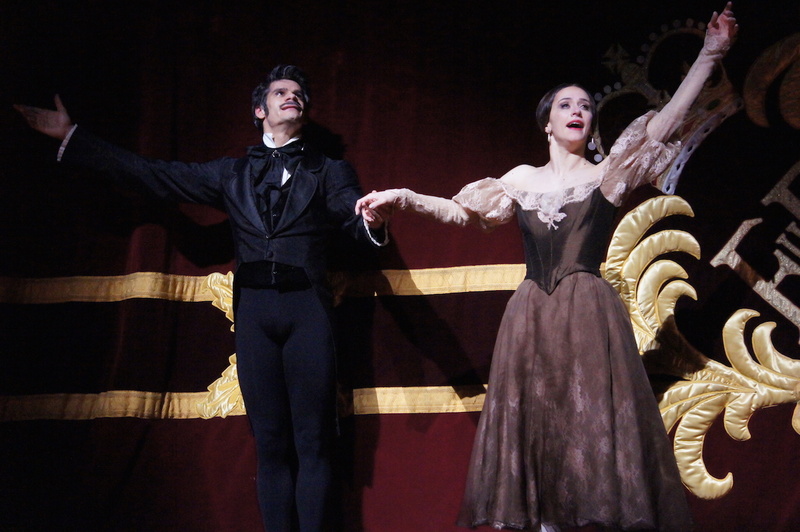 The highlight of the evening, however, is the pair’s final pas de deux, when the tables are turned and it is Onegin longing for Tatiana. Unlike the showy finales of romantic ballets with happy endings, this final piece is all about the characters’ disappointments and regrets. Finally having the chance to dance together again, Nuñez and Soares break every heart with the exquisite longing and sorrow expressed in their dance. The ability to physically convey all this emotion is far more challenging than just dancing beautifully, and the pair shows themselves to be more than up to the challenge. As Onegin’s friend Lensky, Vadim Muntagirov has a nicely contrasting pair of solos, first showing Lensky as a joyful, carefree young man when he is romancing Tatiana’s sister Olga, then as a broken, despondent man before the duel with Onegin. 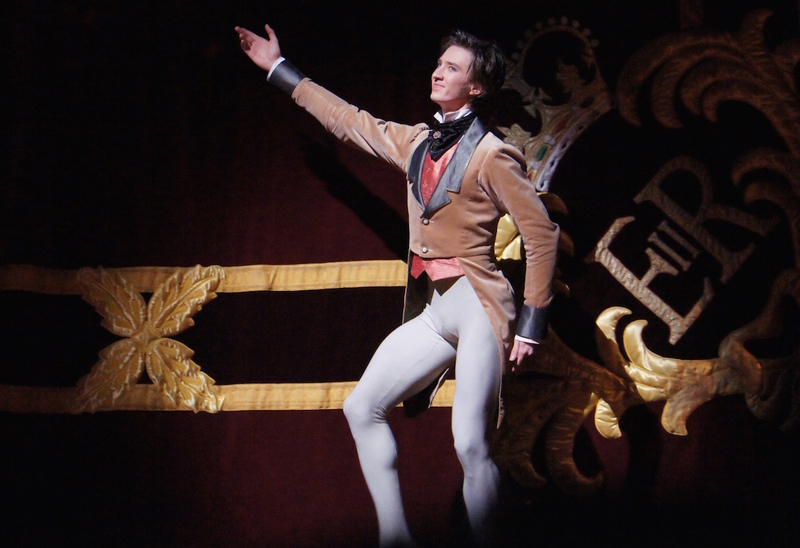 Muntagirov easily portrays the full range of feelings, and his dancing is an absolute pleasure to watch. Akane Takada dances Olga, showing herself to be a dancer of effortless grace and radiant beauty. Ryoichi Hirano is a strong, noble presence as Prince Gremin, creating a noticeable difference between the younger, inexperienced Prince and the older, more self-assure man. As with the other leads, Hirano’s utter confidence with his dancing allows him also concentrate on acting the role, a combination that serves the overall performance to great effect. Even the corps has an acting assignment, which they fulfill superbly, first playing effervescent country folk then refined members of high society. Jürgen Rose’s sets are on a suitably epic scale, but their construction looks quite dated, particularly coming straight after the glossier production of Don Quixote. Rose’s costumes progress from autumnal to winter tones, with Tatiana’s progress through society very clearly charted by her costumes and the costumes of all those around her. 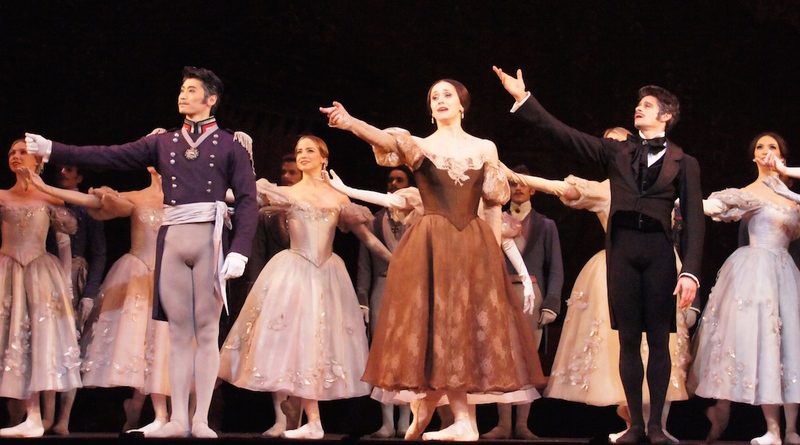 Onegin may not be the perfect full-length ballet, but with the right cast, as on this evening, there is a great deal to admire.